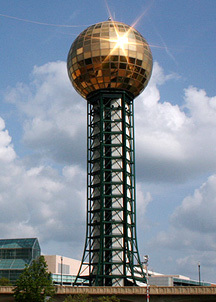 In 1982, my parents took me and my two older brothers to visit the World’s Fair in Knoxville, Tennessee. If you visited the Fair in mid-July of that year, you probably remember us. We were the teenage boys carrying wilted cheese sandwiches in satchels dangling from our belts (in 92 degree heat and 98% humidity) to avoid the high cost of fairground fare for lunch. That is to say, I “get it honest”. I was 20 years old before I bought my first car, a 1973 Plymouth Scamp for which I paid $850. It came complete with a shredded and flapping vinyl top and fenders so rusted out from the salt on the winter highways of Southwest Virginia that I dared not drive the car through a car wash for fear of leaving too many parts behind. When driving in the rain, water would pour in under the dashboard, soaking shoes, socks, and pants legs. I’m not exaggerating! Early in our marriage, I can remember having discussions with my new wife concerning the threshold of excessive toilet paper usage. (Just use your imagination.) As I type these words, I examine my current attire: a striped, button-down, long-sleeve shirt which came to me second hand from America’s Thrift Store, a worn pair of khaki pants purchased on sale in a discount clothing store three years ago for around $20, and socks and underwear that are, let’s just say, of mature age. Only my shoes are of a brand name which you might possibly recognize, a brand and style I am medically required to purchase to give support to my very flat feet. So today’s proverb is really for me and for others of the dying breed of folk who are allergic to the spending of money. Let’s face it: Oxen are expensive critters to keep around. It has been scientifically proven that they have to be fed a certain amount to survive. Oxen require a ready supply of drinking water. Oxen need routine preventative and maintenance veterinary care. They need strong fences to contain them. They need barns for shelter in severe weather. Thus if you have no oxen in the stall, the trough is “clean”, or perhaps a better rendering would be, “the granary is empty”. You don’t have to fill the barn with hay, or purchase corn for the crib, if you have no oxen to feed. It’s much cheaper to own no oxen. The second text is found in Matthew 25:14-30, the parable of the talents. Space does not permit me to retell the passage, but the connection with our proverb is clear enough: Invest for the master! Don’t be a scrooge and hide heaven’s riches in a hole in the ground. Take a chance! Do something big and bold and risky for the Master! Father God, make us to be wise and bold investors of all which you have entrusted to us, blessings both temporal and spiritual. Forgive us when we fail, not for our sake, but for the sake of your own dear Son. Through Christ our Lord: Amen. This entry was posted on Sunday, June 14th, 2015 at 7:43 am	and tagged with Automobile, investments, money, proverbs, World's Fair and posted in Money and Finances, Uncategorized. You can follow any responses to this entry through the RSS 2.0 feed.